Panettone is a traditional Italian sweet bread recipe. It is eaten year round, but is especially popular during the holidays. Dissolve the yeast in 1/2 cup lukewarm water with 1 teaspoon of sugar. Let stand until it begins to rise and foam. 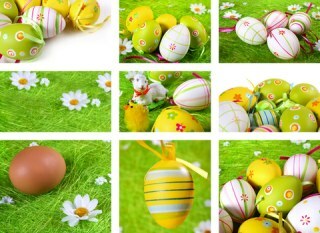 In a separate bowl, combine the milk, eggs, 1/3 cup sugar, butter, salt and allspice. Mix well. Add the yeast mixture and gradually mix in the flour. Cover with a damp cloth and let rise 30-45 minutes in a lukewarm oven. Stir the dough down. Add the raisins, candied fruit, almonds and lemon peel. Knead until well mixed. Divide the dough into 4-5 equal parts. Place in well greased coffee tins and let rise for 30-40 minutes until nearly to the top of the tins. Bake for 45-50 minutes in preheated oven. Let stand 5 minutes before removing the panetone from the tins. Let cool and wrap in plastic wrap or tin foil. The recipe makes one large panetone bread. If you don’t like candied fruit, omit it and substitute more raisins. It will still taste great but won’t be the traditional Italian bread. Make sure the water that you add to the yeast is really just lukewarm. Too hot and it will kill the yeast, too cool and it won’t activate the yeast. Panettone used to be considered a Christmas bread by Italians, although Italian specialty stores usually carry it year round. Panetone is a slightly sweet yeast bread filled with raisins and candied fruit. I remember my Grandma baking it for us and eating it spread with soft, sweet butter. Absolutely fabulous! This is a wonderful Italian bread recipe that will be enjoyed all year round. It makes a great breakfast bread and is a perfect afternoon snack or tea bread. Panetone is baked in round baking tins. If you don’t have coffee tins, use something else that is round and a bit tall, like a deep spring form pan. If you like making yeast breads and want something just a touch sweet, try this panettone. I think you will really like it. If you like this recipe, I’d love you to Pin it to Pinterest, Tweet about it, Like it on Facebook and leave a recipe and comment below. 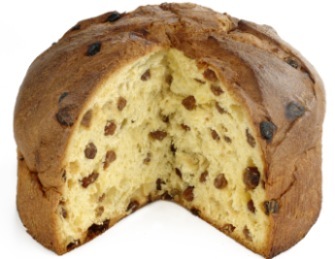 This panettone recipe is just one of our wonderful sweet bread recipes. Find them all here.